Sylvia Celeste Browne was an author born on 19th October 1936, in Kansas City, Missouri USA, and was an alleged medium who claimed to have psychic abilities. She regularly appeared on television and radio, in various shows including “The Montel Williams Show” and “Larry King Live”. She also hosted an internet radio show on Hay House Radio. Sylvia passed away in 2013. 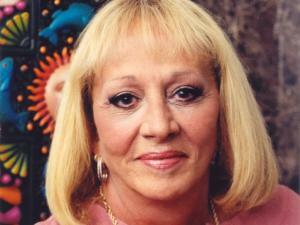 Have you ever wondered how rich Sylvia Browne was? According to sources, it has been estimated that Sylvia Browne’s overall net worth was $1.5 million, acquired as an author of numerous books with paranormal and spiritual topics. After becoming a television and radio personality, her popularity and wealth significantly increased. Sylvia was raised in a Catholic family, and was said to have relatives from Episcopalian, Lutheran and Jewish faiths. Browne said that she started seeing visions when she was five years old, and that her grandmother helped her understand them as she was a psychic medium herself. She also claimed that her great-uncle had been a medium, and talked about the existence of UFOs. Sylvia started giving psychic readings in the early ‘70s, and before developing her career as a psychic, she taught English and religious education at Presentation High School in San Jose, California. She wrote dozens of books on spiritual and paranormal topics, and claimed she wanted all people to feel that they were loved by God. Browne believed that God loves all living beings equally regardless of their spiritual or religious beliefs. She said that her books presented her beliefs in a way which allowed the public to take what they want from her teachings. At the peak of her career, Sylvia charged around $750 for a half an hour telephone session. However, in the late ‘80s the FBI began investigating Browne’s businesses over several bank loans. She and her husband were subsequently charged with grand theft and investment fraud, and the Superior Court of Santa Clara County found they had sold securities under false pretenses. The couple received one year probation each, and Sylvia was sentenced to 200 hours of community service. As her popularity grew, Browne became a frequent guest on television and radio shows such as “Larry King Live”, “That’s Incredible”, “Montel Williams Show” and “Coast to Coast AM”, in which she talked about her abilities, and performed readings for the audience. She also discussed paranormal issues and performed readings in her own Internet radio show on Hay House Radio. Browne appeared in the paranormal anthology TV series “Haunted Lives: True Ghost Stories” in 1991 and in TV soap opera “The Young and the Restless” in 2006. Apart from her career in the entertainment industry, Sylvia founded a church in Campbell, California in 1986, which was named the Society of Novus Spiritus. 1 Her son, Chris Dufresne, is also a self-proclaimed psychic and author. 2 Wrote over 40 books on spirituality, self-help, and paranormal phenomena. 3 Appeared weekly on the Montel Williams Show for 17 years. 4 Had 2 sons with her now ex-1st husband Gary Dufresne - Paul Dufresne & Christopher Dufresne. 7 Was a schoolteacher when she was in her twenties. 8 Is a world renowned psychic.